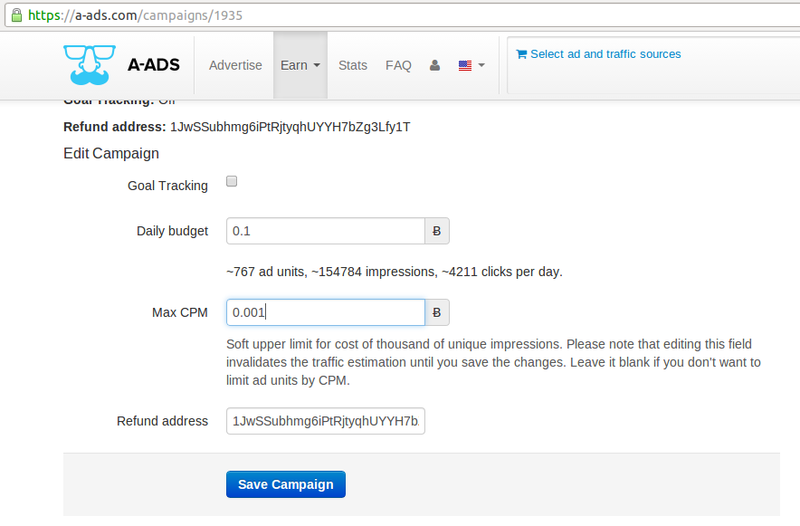 Now advertisers can set the maximum desired CPM for their existing campaigns. CPM stands for "cost per mille" or cost per thousand of views, in Anonymous Ads it denotes amount of bitcoins you pay to receive ad impressions from thousand of globally unique IP addresses. Since we are not pay-per-click or pay-per-impression network, there is no guarantee that actual CPM will be below this value, but in most cases it should.